Being able to thrive in today’s competitive environment is a challenging task. As almost every industry is rapidly evolving, fueled by the technology advances, businesses need to find ways to keep up with the times. In order to remain sustainable and efficient, they adopt an agile mindset. Business Agility is defined in a dictionary as “The capability of a company to rapidly change or adapt in response to changes in the market.” The concept itself is centered around handling operations and resources in a flexible, responsive manner in order to drive maximum business value. Strategic Business Agility – Can you spot an opportunity and assess its potential value before the competition? This ability to sense emerging market challenges early and identify their potential for long-term outlook is crucial to building a commercially viable business. A great example of such approach is Western Union’s pivot to the money transfer industry. Despite being an established telegraph market monopoly, the company was able to foresee the death of this kind of communication and focus on an alternative service – money transfer, which eventually became the company’s primary business. With a market cap of $9.28 billion, the company currently owns over 15 percent of the global money transfer market. Organizational Agility – Can you quickly adapt your business to emerging market challenges? 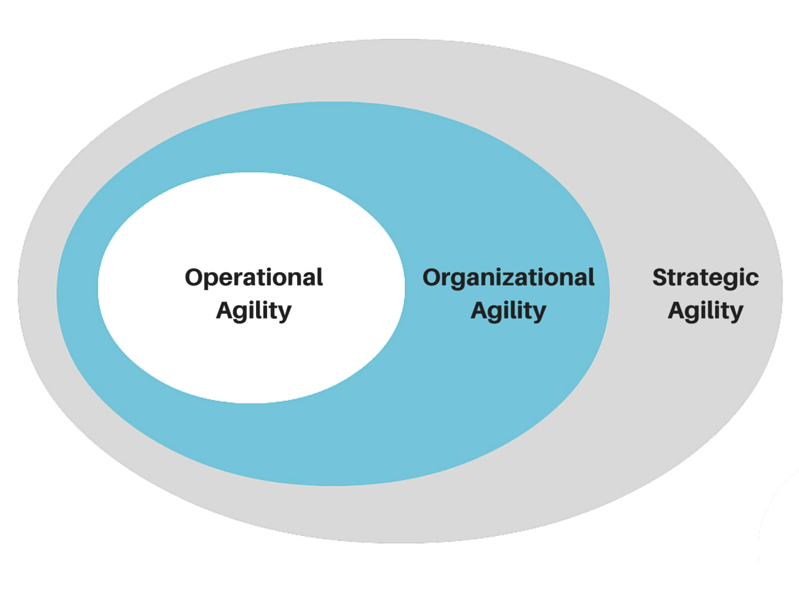 Serving as a link between the strategy and its execution, organizational agility focuses on how flexible the company is. It targets the overall business processes optimization and reasonable resource allocation, supported by a strong leadership and culture. For instance, the recent digital transformation of The Independent required significant changes in the corporate structure and wise resources management: Almost 100 out of 150 of its journalists were laid off. However, this transformation resulted in 33.3 percent monthly audience growth and expected 50 percent revenue increase within a year. Operational/Delivery Agility – Can you quickly deliver measurable results? Speed and quality lie in the foundation of an agile business. It is achieved through solid technical practices and efficient communication between the team, the stakeholders, and the end users. It results in a company’s ability to ship the product with a fast time to market and with minimum waste in the process. While companies like Tesla and Google are leading the research and development of the auto-piloted electric cars, General Motors bets on its manufacturing capabilities and strategic partnership with Lyft in order to get its fair market share. As a result, the analysts predict an up to 60 percent increase in the company’s stock value which could create nearly $30 billion in new market capitalization. The obvious advantages of business agility include an ability to adapt quickly while increasing customer focus, which results in significant revenue growth, steady cost reduction, and more efficient risk management. In order to reap these benefits, the forward-looking CIOs turn to IT as the principal instrument for achieving business agility. Technology finds its application in all three aspects of business agility listed above. From predictive analytics and big data used to define strategic opportunities to using software solution to improve team collaboration and streamline product delivery, IT serves as a basis for running a competitive and viable business. Accenture states: “If agility accelerates growth, innovation is the driving force to achieve it.” The company has found that 90 percent of business leaders consider technology innovation to be crucial for the business success and growth. At the same time, 61 percent of executives struggle to identify their technology architecture as nimble. Most enterprise-level businesses carry the burden of legacy solutions and increasingly complex software architecture. 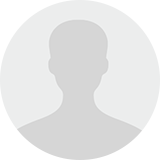 Identifying redundancies in the system. Examining and enhancing key software characteristics and pinpointing bottlenecks. Tracking results of the simplification process according to key metrics: Performance, stability, security, total cost of ownership, time to market, and business value. Accordingly, there are 5 ways to optimize your IT landscape for agility. Simplify your IT infrastructure. There are several ways to do this. Using virtualized infrastructure, rather than actual servers and storage hardware, is an easy way to simplify and digitize the overly complex legacy systems. The use of cloud solutions and converged infrastructure can help you drastically cut maintenance cost and efforts. Optimize software architecture. Legacy systems that existed for decades eventually become redundant and lose their original structure. Scaling such systems is a costly and troublesome task. Therefore, a systematic architecture review and optimization is a good way to future-proof your business. Aside from architecture, the quality of source code and system performance should be a subject of frequent study and improvement. Automate as much as possible. Autonomous business operations reduce the risk of human error and ensure end product quality. A good example of such approach is QA automation process. Improve communication within your company and outside of it. By reducing the number of management layers in your organization, you remove the barriers for efficient communication and high performance. This is especially important when working directly with the external IT staff. Thus, you can communicate the business goals and product strategy to engineers and encourage their proactive approach. Moreover, a simplified administration model allows for quick decision making and thus provides greater flexibility. Manage demand and resources. Being able to predict and plan your demand, helps to allocate resources wisely and reduces the waste in case of over-delivery. At the same time, flexible cooperation models like dedicated team or team extension allow you to wisely manage your IT staff and access the pool of skilled experts on demand. In its special report, Raconteur states: “Staying agile is essential as the tech revolution has much further to run while the mobile internet and powerful cloud-computing become ubiquitous.” According to the research provided in the paper, 92 percent of the businesses that adopted agile recommend it. Moreover, 71 percent of the respondents saw a faster response to the changing market conditions as the main benefit of organizational agility, over a half of the businesses reported significant improvements in the customer satisfaction, 44 percent of them became more profitable after shifting to agile processes. On the other hand, the list of companies that failed to adapt to changing market requirements and thereby went broke is impressive. These include such big names as Kodak, Nokia, Yahoo, Xerox, social network MySpace and Blockbuster Inc., a video rental company that couldn’t survive in the age of Netflix. The conclusion is clear enough: Business agility is no longer an option. It is a vital element of any successful business. Following the best practices and strategies described in this article can help you stay ahead of the competition and thrive, regardless of the circumstances.